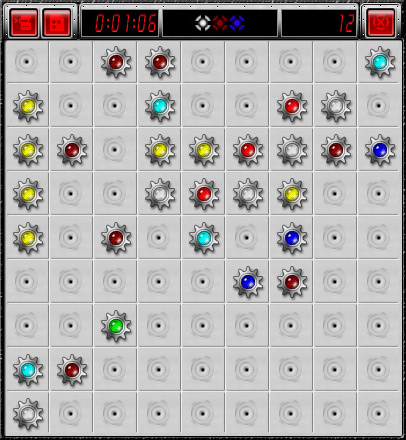 BonusBall is a freeware classic Lines game with pleasant graphics. 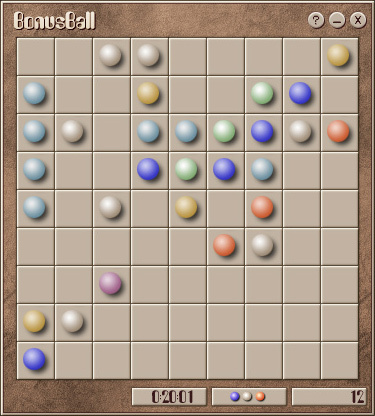 Align 5 or more balls of the same color in a line to clear it and get points. The more lines you clear the more points you get. The game has numerous graphic themes to suit your personal taste. There are 3 themes for BonusBall. You can change themes by going to Menu - Options. The "flowers" button opens the menu. The timer and current score are shown on the top. Dark bottom area with dots shows the color of the next 3 balls. From left to right: Menu button, New Game button, Timer, Next colors, Current Score, Close Game button. The BonusBall button on the top-left opens the menu. 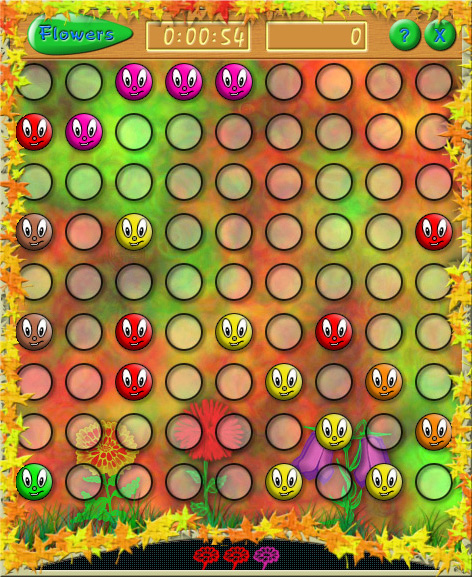 Top-right has the Help button, Minimise button and Close Game button. On the bottom: Timer, Next colors and Current Score.